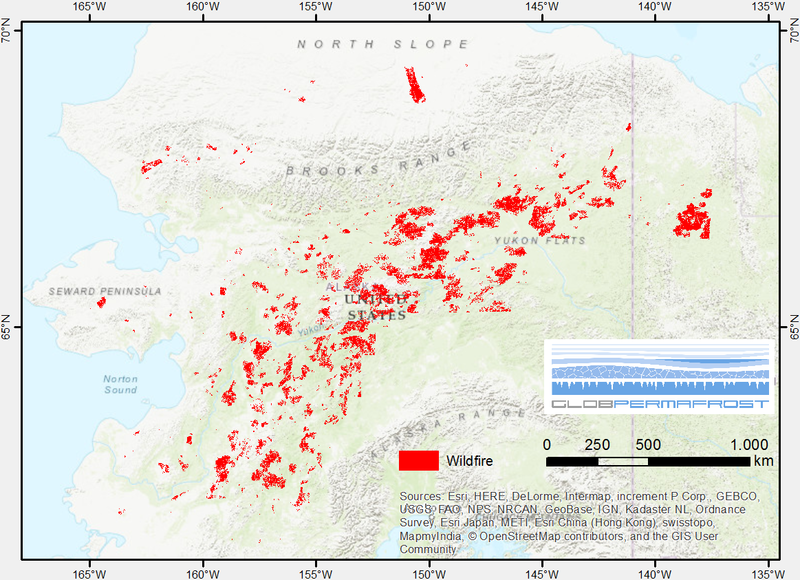 The data quantify the abundance and distribution of the permafrost region disturbance (PRD) wildfire, using trend analyses of 30-m-resolution Landsat imagery from 1999-2015 and auxiliary datasets. The dataset spans four continental-scale transects in North America (Alaska, Eastern Canada) and Eurasia (Western Siberia, Eastern Siberia), covering 2.3M km² or ~10% of the permafrost region. This data publication contains geospatial vector files (polygons) of the perimeters of PRD.